"Now I'm going to tell about a Florida boy. I am at present in the home of his parents in White Springs, Florida, and the boy, their only child, is in Atlanta Ga. Eight years ago his father was a practicing physician in Jasper, Florida. His mother being a strong Universalist had me visit them and give a series of meetings in the Baptist Church. It was easy to secure the use of this church, since his father was a Baptist. One day the boy, then 13 years old, came up into my room, and after showing a little embarrassment, made a request that surprised me. He asked me if I intended to "open the doors of the Church," saying he wanted to join. I told him it would be hardly proper to ask people to unite with the Universalist Church at a service held in a Baptist house of worship; besides there was no organization in Jasper, and only one outspoken Universalist - his mother. But this made no difference with the boy; he wanted to join. At the close of my sermon that night, I explained his wishes, and asked those who desired to unite with the Universalist Church to come forward. Promptly the little fellow stood before the altar, and one of the intelligent ladies of the place, a friend of his mother, came up and stood by his side. I administered baptism, and extended the fellowship of our Church, and sent their names to be recorded on the roll of members at De Funiak Springs. The boy had good Universalist blood in his veins. His mother is a Cawthon, her father a great Universalist. Her grandfather, John Cawthon, the father of Universalism in Western Florida. And now the boy is a promising young man, ambitious to be a great surgeon. He is in a medical college in Atlanta. He is worker in our church in Atlanta. He is secretary of the Y.P.C.U. His name is John Allred. " Mother: Mary Melissa "Ashley" Cawthon Allred (1864-1958) buried in Silver Hill Cemetery, Frostfree, Florida. Father: Idus Park "I. P." Allred, MD (1860-1930) also buried in Silver Hill Cemetery. Son: John Glenn Allred (1885 - 1952) also burried in Silver Hill Cemetery. This modern-day non-family member has no idea if John Allred continued as a member of the Universalist Church pass the dates mentioned above (c1899 -1906), nor do I know why he didn't became a surgeon. We know that both his father and his father's father were medical doctors (his father actually had an article of his reprinted as a booklet for massive distribution), so no doubt there was pressure on him, the only child to also be a doctor. He was in medical school from at least 1906 - 1910, but around 1912, he became an electrician - at first wiring a town and owning a telephone company, then providing the knowledge to power mining equipment and towns, and then to help electrify Florida for what became the Florida Power and Light Company (now Progress Energy). He married also around 1913 (and his wife was the telephone operator of his telephone company). Frostfree, Florida (Polk, County) -1920-1958. Mrs. I. P. Allred was Vice President of the Florida Universalist Convention from 1910-1911. Her sister and father had been officers of the Convention prior to her service. The state convention was held at White Springs in 1905. Hamburg Florida is a small community in Madison County, Georgia. It's about 18 miles south of Quitman Georgia, and therefore the biggest town around would likely be Valdosta, Ga, on I-75. I can't tell if any buisness are left in Hamburg, but looks like there's Shiloh United Methodist Church and some homes. And there used to be a Universalist Church there. At first it was a preaching station. Universalism came to Madison County around the 1840s, when Samuel S. Hinton (1812-1872) moved there from Abbeville, SC. His father was one of the co-founders of the Universalist Church in Abbeville in the 1830s. His brother-in-law, Judge James P. Martin (1838 - 1916) proudly had the slogan " A True Universalist" carved on his tombstone. Hinton's father, Thomas Z. Hinton (1789 - 1863) moved to Hamburg himself in 1862, with him came other members of the Hinton family. The Elijah Linch family was living in nearby Madison, Florida in the 1840s-1860s ( His father was Elijah Linch Sr - the Universalist minister of Newberry SC. Son, Hezekiah, was active in Georgia Universalist Convention in the 1880s ). service, if not enough for a good congregation. By the way, Judge Martin was not known to be a liberal in politics, just in religion. Finally after 50 years, it was time to start a formal church. The Church was named Burrus Memorial, for the circuit rider and Universalist Herald editor. 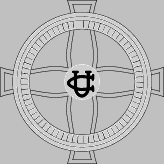 Sometimes called Burress Chapel. It is also frequently called the Hamburg Universalist Church. The church building was adjacent to the Ebenezer Methodist Church. December 1905, Rev Q. H. Shinn holds meetings in Hamburg. Thomas Martin, the county clerk, is an Universalist. His wife and most of his children are Methodist. Douglas Martin, who was then (Shinn reports) ten years old, rides his pony home to ask his mother if he has her permission to join the Universalist Church. She agrees, and after his 20 mile round trip ride, he is baptized and joins as a member of the new Universalist Church. Thomas Martin (1860 - 1926, and son of Judge Martin), Douglas Martin (1893 - 1978). The math does suggests that Shinn was off by a few years in his story. Feb. 1907 building dedicated, and the Florida Universalist Convention was held at the church. 1907 - 1908 Isabelle "Belle" Martin (1868 -1944), daughter of Judge Martin, lay leader in 1907-1908. The church is served by supply ministers, and 6 families make the membership. 1907 - 1910 William C. Smith (1872 -1937) , member of the congregation, is active in the Florida Universalist Convention, serving as President in 1908 - 1909, and Treasurer in 1910. His wife is another daughter of Judge Martin. June 1923 Rev. Stanley Manning preaching there. 1929 Rev. A.G. Strain was doing some regular circuit riding in Hamburg. 1932 Rev Thomas Chapman does preaching (he is a circuit riding minister covering from Mississippi to South Carolina). Present in March, July, and November, doing 3 services per visit. 1932 - 1939 + William "Carlton" Smith (1899 - 1963), son of the above William Coffee Smith, was a lay leader of the church. May 22, 1960 large turnout at the Homecoming at the Church. Service by the Rev. L. C. Prater. 1961/1962 Not listed as one of those churches that joined the new Unitarian Universalist Association. John "Luther" Sullivan (1882 - 1978) converted while Rev Strain was the minister (c1928) and considered himself to be a member up to the end of his life. In the timber, turpentine, and land buisness. The building was still standing and visitable as of 2008.